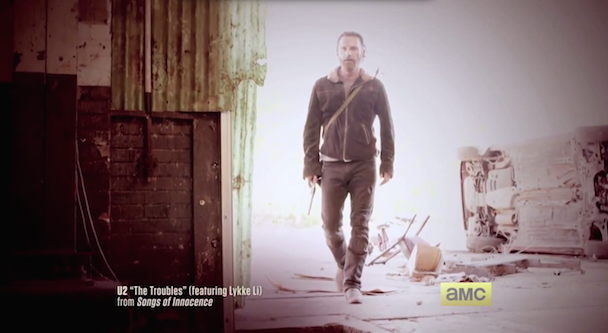 The Walking Dead’s fifth season premieres this Sunday, and a couple of new teaser trailers use the U2/Lykke Li collab “The Troubles” from last month’s Songs Of Innocence. In the past, the zombie show has used songs from Waxahatchee, A.C. Newman, Phantogram, and a bunch more on a soundtrack series called Songs Of Survival. Watch the trailers below.